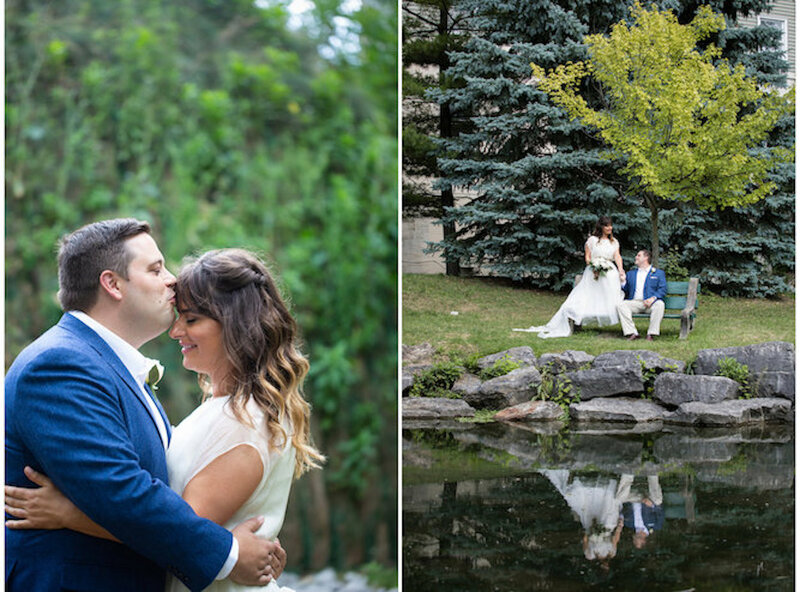 Andrea married last year in Amherst, New York, wearing a personalised wedding outfit we designed together. 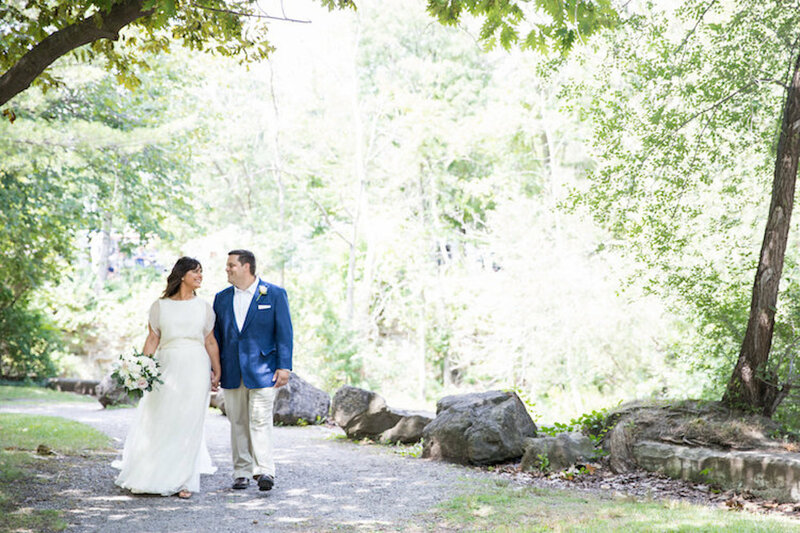 She fell in love with the ever-favorite Nymphea silk wedding skirt, but she really wanted to be able to have an outfit change, without purchasing a whole separate bridal dress. So here is what we did: I made her a short version of the Hedera wedding dress, knee length, with a lovely round keyhole in the back. For the ceremony, she wore the Nymhea over it, for a romantic, flowy, relaxed look. For the party, she simply took off the skirt, put on the sweet lace Daisy sash and voilà, she had an utterly different wedding dress! Short, comfy, sweet.